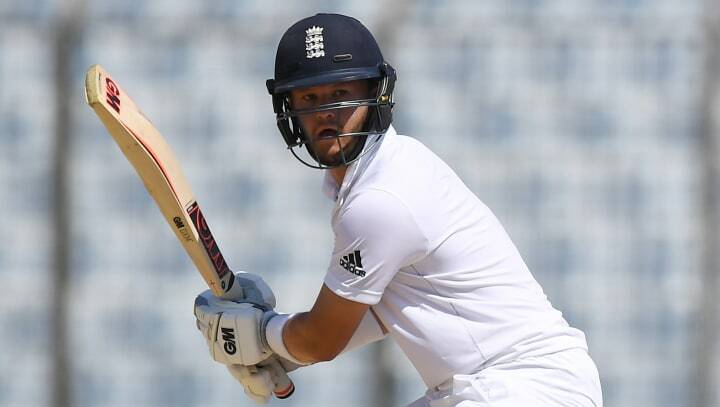 Over two years on from his last trip to India, Ben Duckett is relishing a return to the country in which he made his most recent England appearance. Duckett had become England’s ninth attempt to replace Andrew Strauss at the top of the order in 2016, with promising performances in Bangladesh ensuring that the powerful batsman retained his place for the India tour that followed. However, in arguably one of the toughest cauldrons in which to be forging a Test career, the left-hander was undone in all three of his innings by the off-spin of Ravichandran Ashwin – and promptly dropped. Now back in India with the England Lions, the 24-year-old has an opportunity to put those brutal but valuable learnings into practice. “I went to the lowest part of my career in India, but that is the best way to learn about your game,” he said. “The series helped me find something I didn’t know I wasn’t good at, playing off-spin in turning conditions, and I have been working on that area of my game ever since. “I haven’t been out in those conditions since, so personally it would be great to go back to India and score some runs. Since joining Nottinghamshire from Northamptonshire during the back end of the 2018 season, Duckett’s cricketing education has continued to broaden with trips to Abu Dhabi with the Hobart Hurricanes and to South Africa with the Nelson Mandela Bay Giants. The move up the M1 - and the overseas experiences - are all about self-improvement for the left-hander. A call-up for England’s second string this winter, meanwhile, demonstrates that he remains in the thinking of the selectors. “I got the call from Ed Smith (England’s National Selector) when I landed back from South Africa,” revealed Duckett. “It was the best news. Over the past year or so I’ve not been at my best and missed out on a few Lions squads. “I’m constantly trying to improve my game and playing in a couple of sides this winter with players I haven’t met before and can learn from has helped me. “It was exciting in South Africa, playing against the likes of AB de Villiers, and the best way to continue growing is to play more cricket. Alternatively, priced at just £100 for adults, £70 for seniors and £227 for a family of four, you can pledge your support by purchasing an Outlaws Season Ticket. The season ticket will cover all scheduled home cricket in the T20 Vitality Blast and Royal London One-Day Cup, plus a priority purchase window for any knockout stage cricket at Trent Bridge. Secure your season ticket now..